Home | Blog | Should we name and shame late paying companies? It’s not uncommon for businesses to experience customers who repeatedly refuse to make payment. And, in the worst cases no matter what you try you just can’t seem to make them pay. It’s annoying. It’s stressful. And, for many business owners, it’s simply rage-inducing. In these situations, it can be tempting to take to social media and publicly vent about this kind of behaviour, but is naming and shaming your late paying customers really a good move? It’s an idea we’ve seen a lot in the business world recently. Amongst others, name and shame campaigns have outed businesses paying under the minimum wage and serial tax avoiders. So why wouldn’t it work for late payment too? Trevor Tierney certainly seems to think it will. After becoming so annoyed by poor payment practices from his own customers, he set up 60days.com where, for a fee, you can anonymously report your late paying clients or search for those you are considering doing business with. 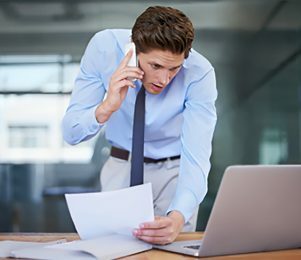 Similarly, tougher payment reporting laws outlined in the Small Business, Enterprise and Employment Bill require all large companies in the UK to report on their payment practices and policies. 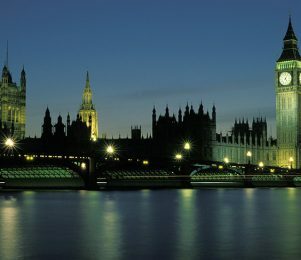 Whilst the legal requirement to report on practices has been put off until October, it is hoped that forcing big businesses to publish their payment practices, effectively naming and shaming themselves should they be bad payers, will give smaller businesses the power to know who they’re dealing with and protect their cash flow from the demands of late payment. 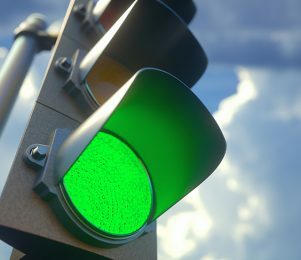 Meanwhile, the recently strengthened Prompt Payment Code (PPC) now has the power to sanction or expel those who’ve signed up but fail to comply. When a signatory is removed the Board will issue a public statement and a list of removed signatories will be available on the Code’s website, naming and shaming those with the worst payment practices. Also, the Forum of Private Business (FPB) has a Hall of Shame where they’ve singled out some of the UK’s biggest names for poor payment practices and offer other companies the chance to report bad business practices. The Hall of Shame claims to have resulted in extensive media coverage and some businesses reconsidering changing their terms. Plus, with the rising popularity of social media businesses can out their customers in their own circles. But is launching into a Twitter rant really wise? Firstly, why has the customer paid late? They may have a genuine excuse. Maybe they haven’t received your invoice, have a dispute or have the wrong payment details. It often happens. Once you’ve gone public you can’t take it back so you need to be certain there isn’t a reasonable explanation. It could be extremely embarrassing for you and the customer if you go public before determining the reason for late payment. Also, damaging the reputation of a customer you have named and shamed could lead to a very expensive legal battle that will damage your cash flow and reputation further. BBC News recently reported on a freelancer who had tweeted about a company from Qatar that had not paid its bills. She found herself on the wrong end of a claim for defamation running to £120,000. Last but not least, have you considered the damage it will do to your own reputation and relationships with your other customers? Letting your anger go on social media may feel good at the time. But, will you have the same feel-good feeling when your other customers take their services elsewhere through fear of getting the same treatment? 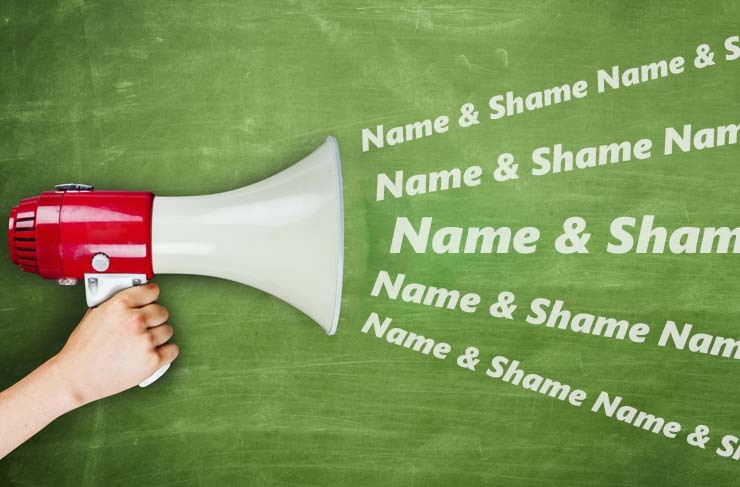 Does naming and shaming even work? Whilst naming and shaming is likely to publicly embarrass your customer it’s unlikely to actually get you your money back. Once you’ve said something on social media you can’t take it back, so you’ll have annoyed the debtor with no chance of undoing the deed and most likely reduce your chances of collecting the overdue invoice. You might hope that even if you can’t get your money back by publicly outing their poor payment practices you’ll help other businesses avoid the same fate as you. But this won’t necessarily be the response. For years businesses have had the ability to credit check customers to see if they pose a risk to their business. But according to our research, less than half of businesses credit check new customers before trading with them. And only 28% regularly credit check their existing customers. So, who’s to say that other businesses will even pay attention to name and shame campaigns if they’ve already been ignoring other tactics that highlight similar issues? Is there a better late payment solution? As a debt collection agency we understand how frustrating it can be for businesses to be paid late, especially when your own cash flow is being stretched whilst you wait for payment. But, we strongly recommend that before you go public with your grievances you try all the avenues available to get back what you’re owed. For example, outsourcing the debt to a third party can be all that’s needed to encourage your customer to settle any outstanding invoices. Plus, the knowledge and expertise an outsourced provider will bring can significantly improve collections results, while an approach that favours mediation will also help to preserve your customer relations. So, if you have outstanding late payments and you’re worried about the impact it’s having, contact us on 0800 9774848 or collections@hiltonbaird.co.uk to see if we can help. What do you think? Would you ever publicly name and shame a late paying business? Or do you think that there are better tactics? Please share your experiences in the comments below.